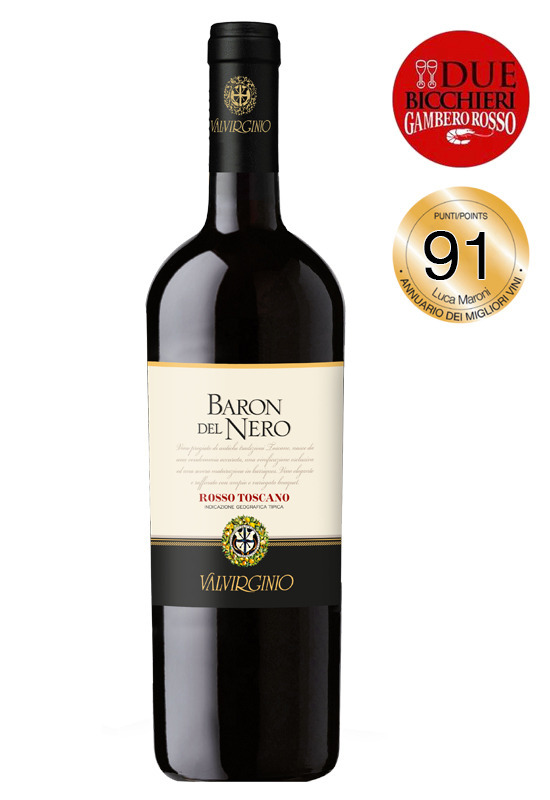 Important wine that takes its name from an old mill, located along the creek that runs near Virginio to our winery, called just “the Black Baron Molino”. Core product of our red IGT, born from cabernet sauvignon and merlot, vinified separately, it undergoes a further period of aging in wood for at least twelve months, after which we proceed to the assembling and to the bottling of the product. The wine has a ruby red color. It’ s scent is broad and refined where the sensation of red fruits are blended with notes of vanilla and spice, forming together a very pleasant aroma. To the palate it’ s soft, long and persistent, accompanied by a spicy aftertaste. It goes very well with tasty red meats as is the classic Florentine steak and hunted game.